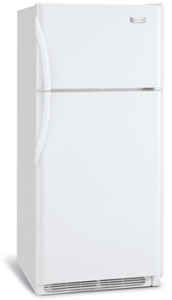 Good Buy - 15, 18, 21 Cu Ft Frigidaire Top Mount Refrigerators, City Energy Star -$200 available for qualifying customers. 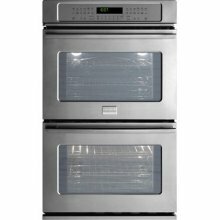 Frigidaire Professional 30 Double Wall Oven (FPET3085KF). 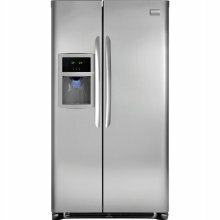 This unit is made of real stainless steel, which is easy to clean and protects the finish from smudges and fingerprints. 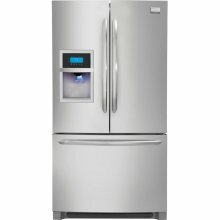 with convenient Express-Select controls keeps your fresh and frozen food at ideal temperatures. Two clear crispers help to keep produce fresh, and a clear dairy door keeps your dairy products organized. Store-More Full Width Drawer - A large capacity full-width drawer provides enough space to easily store anything from sheet cakes and large platters to snacks and juice boxes. 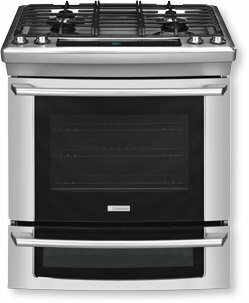 $199, 36" Vented or non vented 400 C.F.M Hoods, two full length dishwasher safe filters, two halogen fixtures, automatic heat sensor adjustable speed squirrel cage motor, metallic nickel, no finger prints. Our showroom has over 500 appliances on display with close to every major brand.